Yesterday was a beautiful day and we enjoyed our first Reef Fishing trip of the season! Not only that we caught the first Mackerel of the season and the first line with all hooks caught! 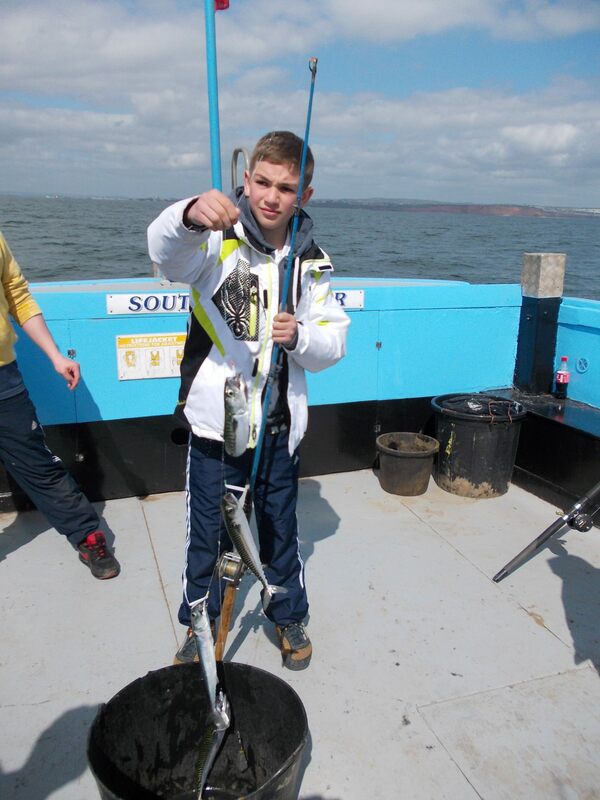 The trip was a lovely start to this years fishing trips from Exmouth. Currently we are having to depart from Exmouth Docks with our fishing boat Southern Angler as the beach stage is not completed from the winter refit. There is still plenty of parking available and you can get your tickets from the Stuart Line Cruises booking office.